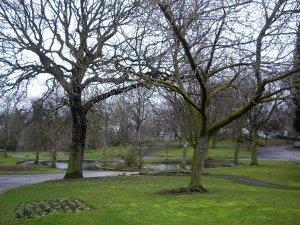 Haw Hill Park0345 8 506 506work ParkThere is fun for all the family at Haw Hill Park. Practice your tennis skills at the tennis courts, take part in a relaxing game of bowls, feed the ducks and let the children burn off some energy in the fun play park. There is fun for all the family at Haw Hill Park. If the weather is fine bring your own garden games to play in the open grassland, pack a picnic and make a day of it!